I’ve pretty much seen this “got milk?” image ever since I was a little girl and it never really phased me to think about who designed it or why. Well, the advertising agency Goodby Silverstein & Partners, located in California, created this as an advertising campaign to encourage people to go out, buy, and drink more milk in 1993. They did this because when you really think about it, there isn’t true brands for milk. If someone asks you what kind of milk do you drink, you’d say something like, “The Red Kind” or “2%”. When the designers at Goodby Silverstein & Partners gathered to think of a campaign, they had a board of ideas and the head of the board was labeled Got Milk. 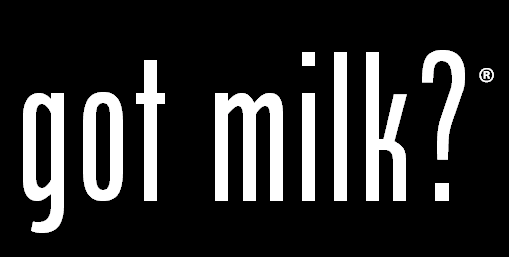 One of the designers suggested “got milk?” to be the head of the campaign and at first the other designers were unsure of the idea. They argued that “got milk?” wasn’t really even english and that it didn’t make sense. But the longer that they looked at “got milk?” the more they realized that they had something great on their hands. While now “got milk?” is a nationwide known advertisement, it was originally meant for the California Milk Processor Board. It’s interesting to know that something meant for California had been spread nationwide and has even had parodies, imitations, and merchandising based off of what was at once, an unsure idea.